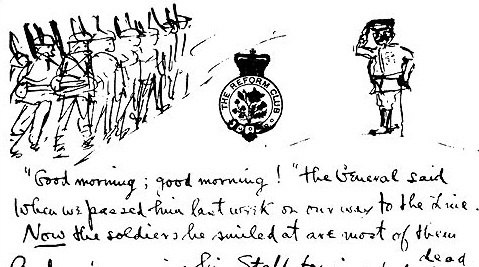 Dr Jean Moorcroft Wilson, Siegfried Sassoon‘s biographer, unearthed some unpublished poems at Cambridge University. Follow this link to BBC for a listen! What she find most noticeable about the poems she discovered is that they aren't the angry war poems one might expect from Sassoon, but rather glorify war at points. Professor Sheffield argues against the dominant view that First World War poets presented of the war and Dr Moorcroft Wilson argues in counter to this. There is the question of how 'lost' those poems were. They weren't exactly hiding. They were in the Sassoon papers at the University of Cambridge, and had been seen by countless scholars. Still, I thought that Jean Moorcroft Wilson came across very well on the Today programme. I suppose no poem in an archive is really lost! (like the 'lost' Hughes poem that was published in the New Statesman). I thought her argument at the end was good also.